When I received this lovely lump of fiber from Fiber Stash, it nearly took my breath away. 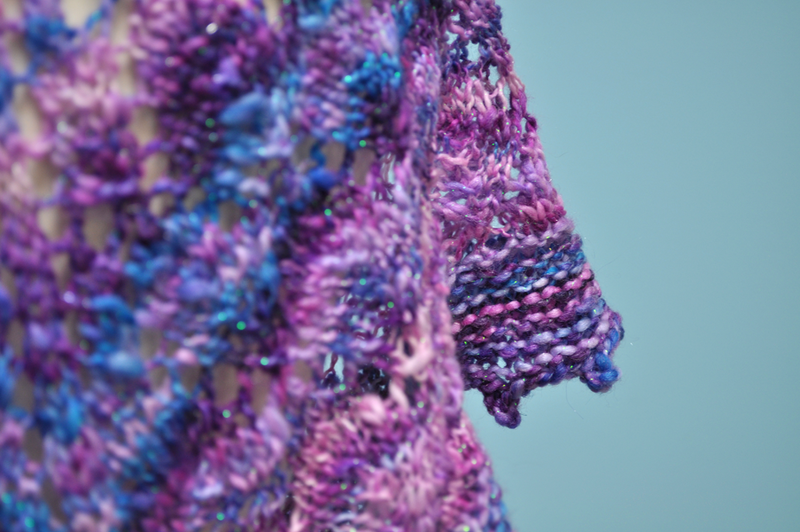 Absolutely dreamy, the colors are just so perfectly me, with just a hint of sparkle throughout the fiber. Instant Love. 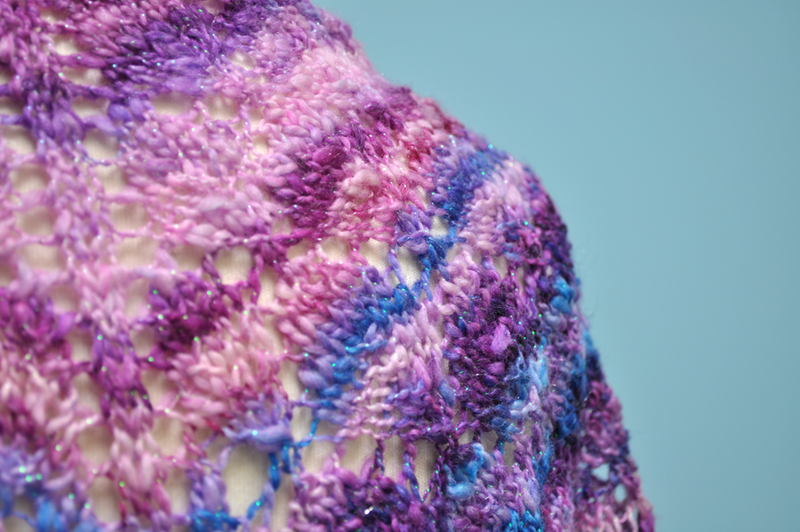 It took me about two months to decide on a pattern for this special yarn. I am very wishy-washy when picking out patterns for yarn, you know? It has to be just right. 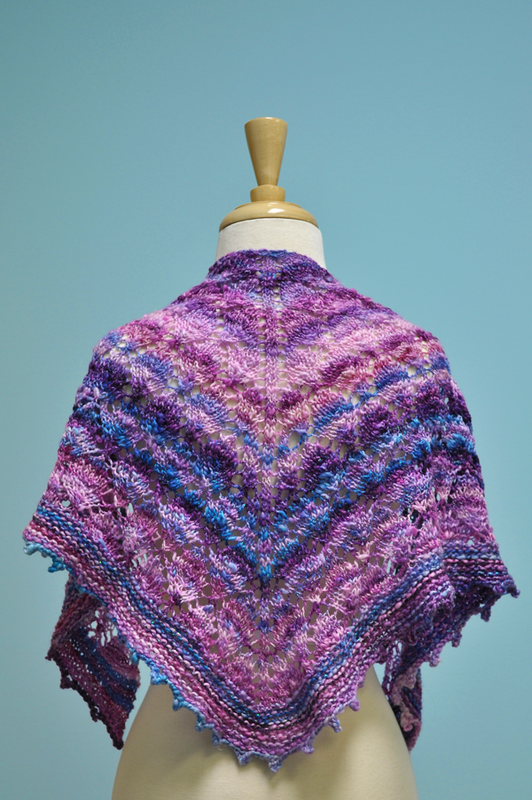 In the end, I decided on Sylvia Bo Bilvia’s Lonely Tree Shawl! The leafy lace pattern gets a bit lost in the shifts of color, and honestly I knew going in this would happen, but I still wouldn’t change it for the world (and also because it would probably take me another three months to pick out a different pattern)!